Rowland Rd. Stevenage, 5th Oct. 01:15 hrs. 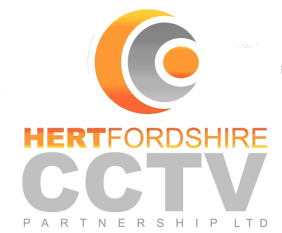 An incident involving the Hertfordshire CCTV Partnership that was reported in the national press concerned a suspicious call to a taxi firm in Stevenage. Road in Stevenage to London. The firm were suspicious that the call was linked to an armed robbery of a taxi driver earlier on. The police, including a dog handler, attended the address in Rowland Road and CCTV controllers monitored the scene from a camera by the local shops. As the officers arrived, the occupants of the address made off. A man and a woman left in a car and one of the men left by the rear of the address and was monitored near the shops running and carrying what appeared to be a large knife. When the police dog handler and his dog gave chase and the man was cornered, he stabbed and seriously injured the dog and wounded the officer’s hand before being restrained and arrested. The couple who escaped in a car were stopped and also arrested for having an offensive weapon. A final arrest was made of another man who had hidden in the garden at the address in Rowland Road. This story received national press coverage reporting the story of the injured police dog Finn and his handler. The wounded officer was treated for his injury and discharged from hospital, while Finn eventually recovered from head and chest wounds and returned to police duties in December. The incident is a success for the usual teamwork between controllers and officers, but rightly so, the dog got all the news plaudits with the online petition “Finns Law” being signed by more than 120,000 people to have what happened to PD Finn to treated like assault of a police officer and not criminal damage. If you wish to enquire about footage for an incident you are involved in please read the Terms and Conditions. Do not use the above email for a CCTV Footage request.